Ron Rosenes has been living with HIV for nearly 40 years. The long-time advocate, who turns 71 this summer, said he’s confronted health problems that come with age — perhaps even earlier — an increasingly common reality as more Canadians with the virus live longer. “I seem to be living long enough to get the same crap as everybody else,” he told The Current’s Anna Maria Tremonti. At the end of 2014, an estimated 65,040 people were living with HIV in Canada, according to the Public Health Agency of Canada (PHAC). While improved care and treatment might mean that population is living longer, diagnoses in older people have also increased. New diagnoses in those aged 50 years and older went up from 21.9 per cent in 2014 to 23.9 per cent in 2015, PHAC found. With a growing cohort of Canadians living longer with HIV, survivors and the people who support them face new challenges in healthcare, financial support and combating new expressions of an old stigma. Rosenes has had prostate cancer and open-heart surgery, but said it’s difficult to pinpoint that to his HIV status or genetics. According to Dr. Julian Falutz, the director of the Comprehensive HIV Aging Initiative at McGill University Hospital Centre, age-related complications are occurring earlier in patients with HIV compared to those without. 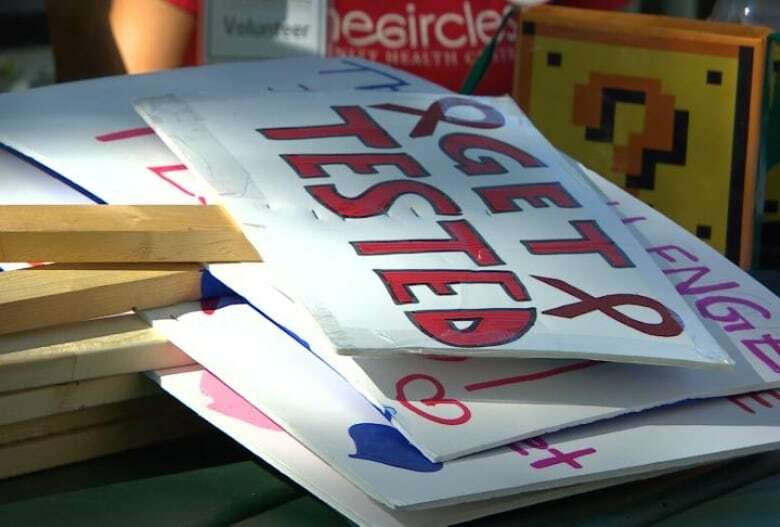 “[HIV] can act as a stimulus for some of these conditions, such as lung cancer, heart disease, bone problems, osteoporosis, liver problems,” he said. Lifestyle factors, like whether a patient smokes and when they started effective HIV treatment, need to be taken into account as well. Rosenes said that healthcare professionals don’t expect these issues in a relatively younger patient. “We really, really need our medical and our healthcare professionals now to view us as whole people,” he said. “They used to really view us specifically through the lens of our HIV. Falutz is in the early stages of researching HIV and frailty. He estimates that in five to eight years, one-third of Canadians with HIV will be over 60. In addition to health issues, people living with HIV experience a vast amount of stigma, said Kate Murzin, an HIV-and-aging specialist at Realize, which offers rehabilitation services to HIV patients. Rosenes also noted the financial difficulties that survivors face. Many people who were diagnosed with HIV had their work lives disrupted for decades, he said, missing out on the years when people gather assets for their retirement. Now, as more effective treatments give HIV patients greater control over their lives, they find themselves trying to re-enter the workforce in their 50s and 60s. Falutz said this is a challenge in itself. “They’re finding it very, very difficult for the usual reasons that older people have in finding jobs,” he told Tremonti. “They have possibly the ongoing health issues, as well as the stigma, the social isolation and the financial constraints,” he added. This segment was produced by The Current’s Karin Marley.